Since receiving his B.Sc. 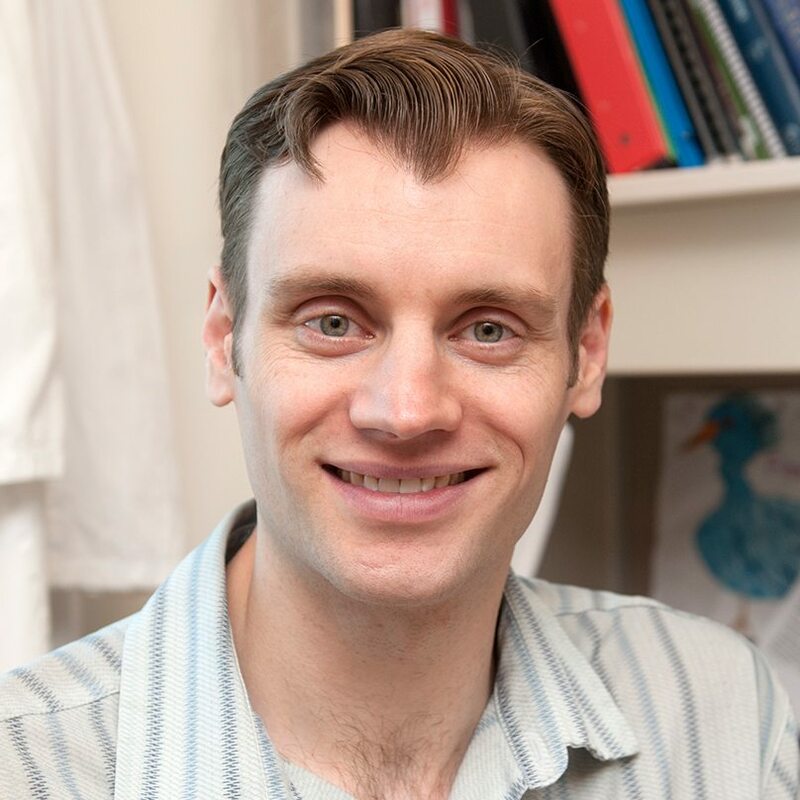 in Pharmacology and Ph.D. in Oncology at the University of Alberta, Dr. Robert Paproski has developed a broad range of skills over multiple disciplines centered on diagnostics using a variety of imaging technologies including PET, MRI, X-ray, ultrasound, fluorescence/electron microscopy, bioluminescence, and photoacoustics. His experience also includes genetic engineering cells using molecular biology techniques, synthesis of nanoparticles with multi-model imaging contrast, using ultrasound to liberate biomarkers into the blood, and automated data analysis using R, MATLAB, octave, and KNIME software. Robert’s current focus involves using circulating extracellular vesicles for diagnostics/prognostics. Circulating extracellular vesicles can be analyzed by microflow cytometry and Robert uses automated data analysis scripts to identify the clinical conditions the current data set best predicts. Advanced optimized machine learning models are then made to predict which patients have clinically-meaning conditions. Paproski RJ, Jovel J, Wong GKS, Lewis JD, Zemp RJ. Enhanced Detection of Cancer Biomarkers in Blood-Borne Extracellular Vesicles Using Nanodroplets and Focused Ultrasound. Cancer Res. 77(1): 3-13, 2017. Shi W, Paproski RJ, Shao P, Forbrich A, Lewis JD, Zemp RJ. Multimodality Raman and photoacoustic imaging of surface-enhanced-Raman-scattering-targeted tumor cells. J Biomed Opt. 21(2): 20503, 2016. Paproski RJ, Forbrich A, Huynh E, Chen J, Lewis JD, Zheng G, Zemp RJ. Porphyrin Nanodroplets: Sub-micrometer Ultrasound and Photoacoustic Contrast Imaging Agents. Small. 12(3):371-80, 2016. Paproski RJ, Li Y, Barber Q, Lewis JD, Campbell RE, Zemp RJ. Validating tyrosinase homologue melA as a photoacoustic reporter gene for imaging Escherichia coli. J Biomed Opt. 20(10): 106008, 2015. Forbrich A, Paproski RJ, Hitt M, Zemp RJ. Comparing efficiency of micro-RNA and mRNA biomarker liberation with microbubble-enhanced ultrasound exposure. Ultrasound in Medicine & Biology. 40(9): 2207-16, 2014. Paproski RJ, Heinmiller A, Wachowicz K, Zemp RJ. Multi-wavelength photoacoustic imaging of inducible tyrosinase reporter gene expression in xenograft tumors. Sci Rep. 4:5329, 2014. Shi W, Paproski RJ, Moore R, Zemp RJ. Detection of circulating tumor cells using targeted surface-enhanced Raman scattering nanoparticles and magnetic enrichment. J Biomed Opt. 19(5): 056014, 2014. Paproski RJ, Forbrich A, Hitt M, Zemp RJ. RNA biomarker release with ultrasound and phase-change nanodroplets. Ultrasound in Medicine & Biology. 340(8): 1847-56, 2014. Forbrich A, Paproski RJ, Hitt M, Zemp RJ. Microbubble-Enhanced Ultrasound Liberation of mRNA Biomarkers In Vitro. Ultrasound in Medicine & Biology. 39(6): 1087-93, 2013. Paproski RJ, Yao S, Favis N, Evans D, Young JD, Cass CE, Zemp RJ. Human concentrative nucleoside transporter 3 transfection with ultrasound and microbubbles in nucleoside transport deficient HEK293 cells greatly increases gemcitabine uptake. PLoS One. 8(2):e56423, 2013. Wiebe LI, Sun W, Zhou A, Yang J, Sjuvarsson EV, Eriksson S, Paproski RJ, Cass CE, Kumar P, Knaus EE. Biochemistry and biology of 2′-Fluoro-2′-deoxythymidine (FT), a putative highly selective substrate for thymidine kinase type 2 (TK2). Curr Radiopharm. 5(1): 38-46, 2012. Paproski RJ, Forbrich AE, Wachowicz K, Hitt MM, Zemp RJ. Tyrosinase as a dual reporter gene for both photoacoustic and magnetic resonance imaging. Biomed Opt Express. 2(4): 771-80, 2011. Paproski RJ, Forbrich AE, Harrison T, Hitt MM, Zemp RJ. Photoacoustic imaging of gene expression using tyrosinase as a reporter gene. Proc. SPIE 7899, 78991H, 2011. Paproski RJ, Wuest M, Jans HS, Graham K, Gati WP, McQuarrie S, McEwan A, Mercer J, Young JD, Cass CE. Biodistribution and uptake of 3′-deoxy-3′-fluorothymidine in ENT1-knockout mice and in an ENT1- knockdown tumor model. J Nucl Med. 51(9): 1447-55, 2010. Paproski RJ, Young JD, Cass CE. Predicting gemcitabine transport and toxicity in human pancreatic cancer cell lines with the positron emission tomography tracer 3′-deoxy-3′-fluorothymidine. Biochem Pharmacol. 79(4): 587-95, 2010. Paproski RJ, Ng AM, Yao SY, Graham K, Young JD, Cass CE. The Role of Human Nucleoside Transporters in Uptake of 3′-Deoxy-3′-Fluorothymidine. Mol Pharmacol. 74(5): 1372-80, 2008. Paproski RJ, Visser F, Zhang J, Tackaberry T, Damaraju V, Baldwin SA, Young JD, Cass CE. Mutation of Trp29 of human equilibrative nucleoside transporter 1 alters affinity for coronary vasodilator drugs and nucleoside selectivity. Biochem J. 414(2): 291-300, 2008. Emami S, Kumar P, Yang J, Kresolic Z, Paproski R, Cass C, McEwan AJ, Wiebe LI. Synthesis, transportability and hypoxiaselective binding of 1-beta-D-(5-Deoxy-5-fluororibofuranosyl)-2-nitroimidazole (beta-5-FAZR), a configurational isomer of the clinical hypoxia marker, FAZA. J Pharm Pharm Sci. 10(2): 237-45, 2007.